I’d been wanting to make a custom character sheet for D&D and I finally got around to it. Once I got started I realized I wanted it to be in a booklet format… then I got a little carried away. Covers are printed on heavy card stock to protect all the important details about your character. Features an elastic cord binding so you can easily replace the sheet in the unfortunate event of your death. 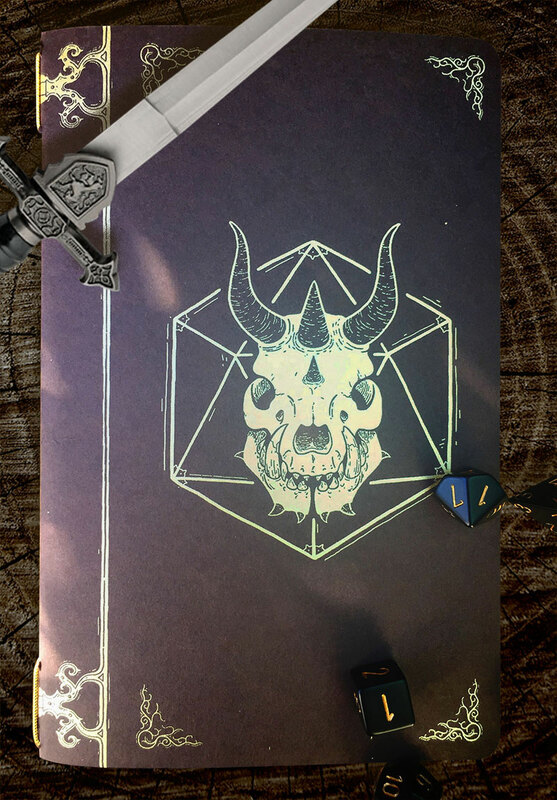 Character Sheet in booklet format compatible with D&D Fifth Edition. Hand screen printed gold covers. Covers printed on 140lb french paper (very sturdy). Elastic binding for changing out character sheets.